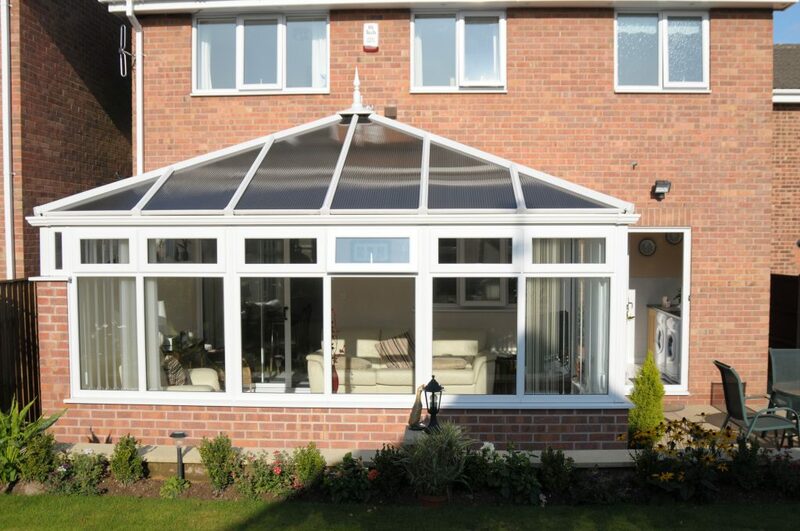 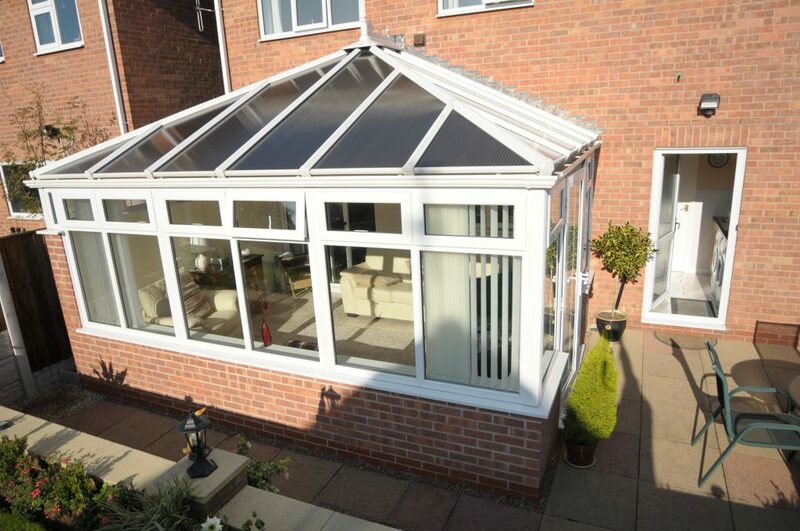 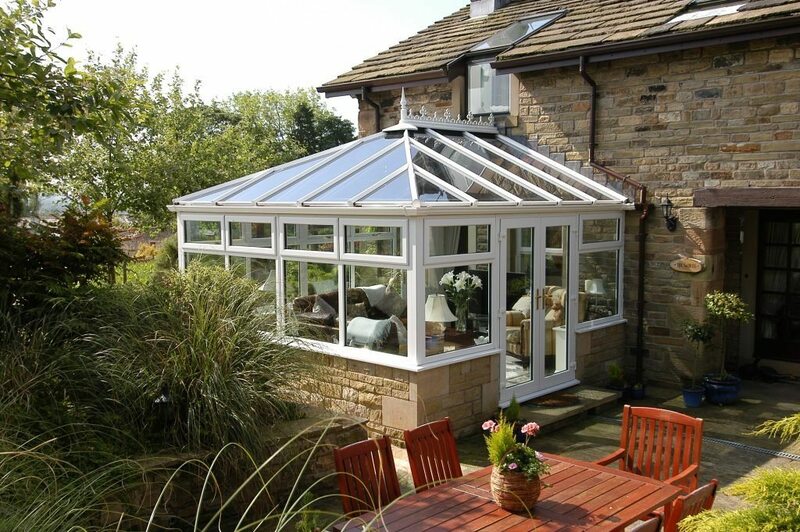 Cumberland Windows, your local Conservatory Installer introduce the Edwardian Conservatory. 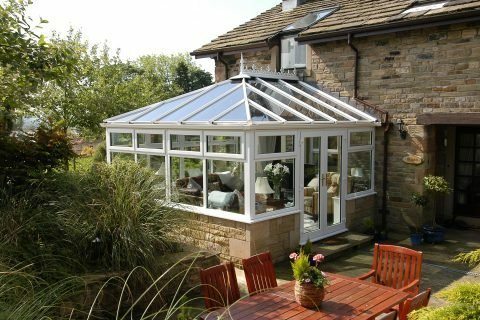 Featuring a square or rectangular shape, Edwardian Conservatories are incredibly space efficient and compliment most types of property. Furthermore, they are available in choice of roof options including self cleaning glass, 35mm poly-carbonate as well as solid tiled effect. 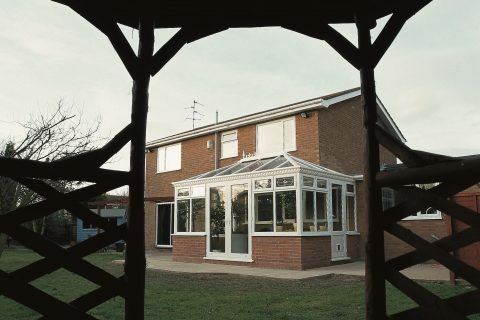 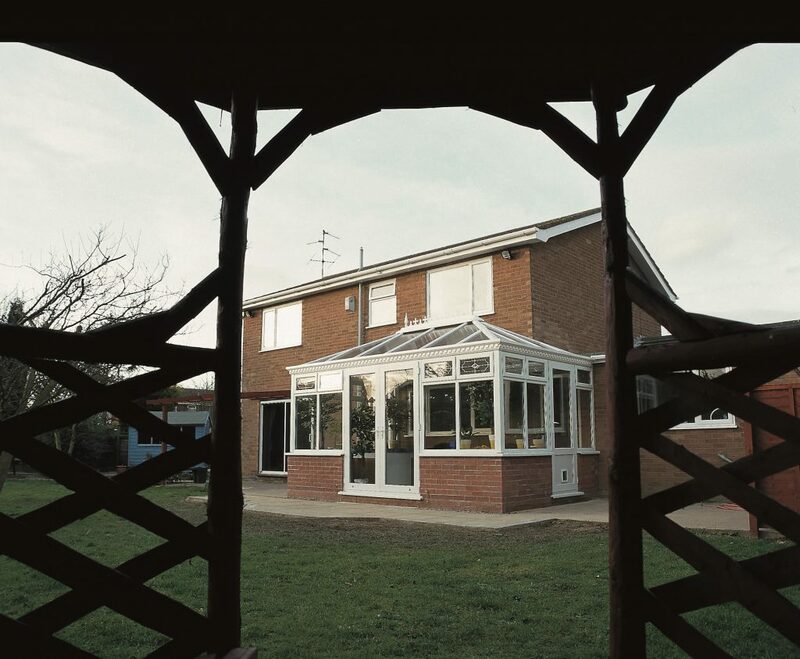 All of our Edwardian conservatories are constructed using the highest quality of PVC-U to guarantee exceptional comfort and thermal efficiency. Achieving an A-rating from the WER as with the rest of our product range. 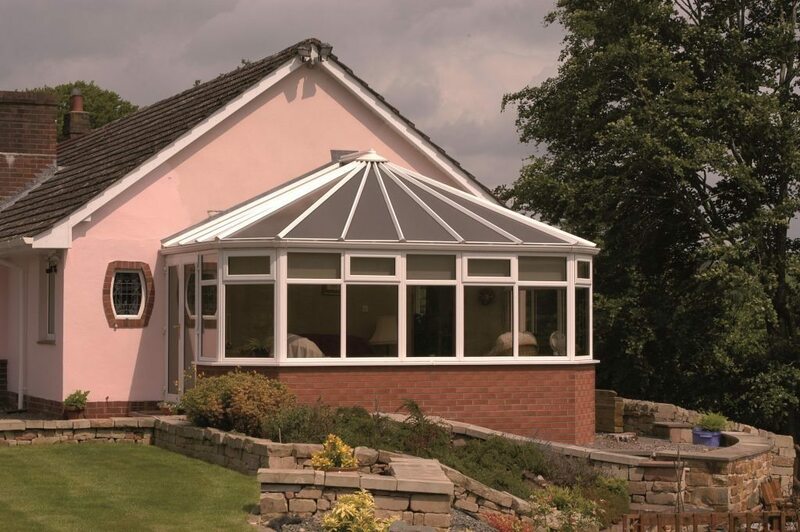 Triple glazed as standard with optional specialist glass roofs, your new conservatory will stay cool in the summer and warm in the winter. 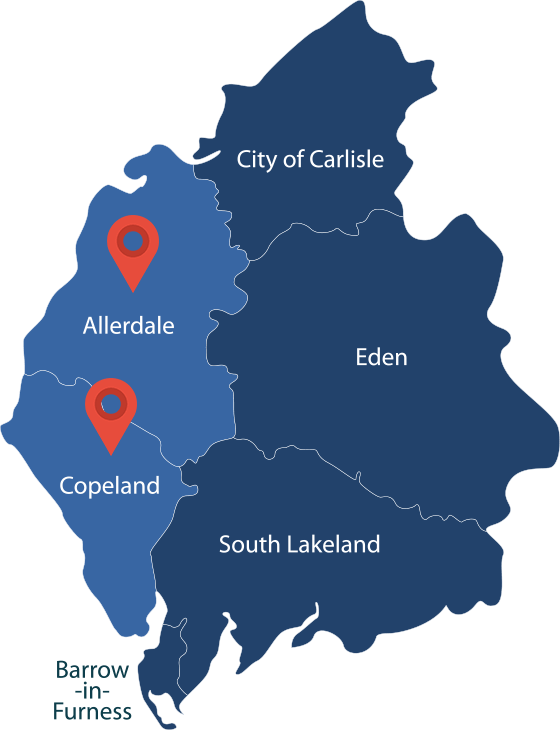 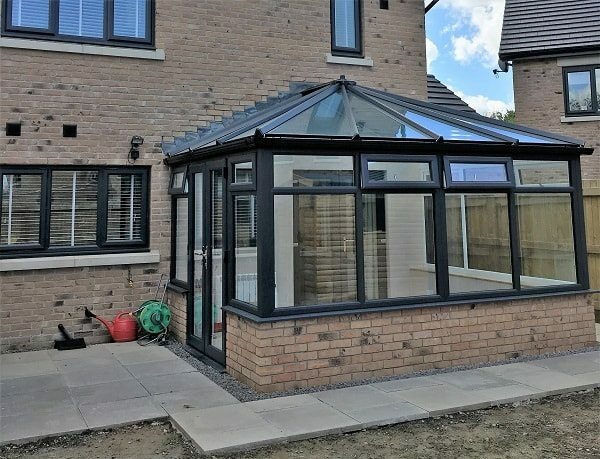 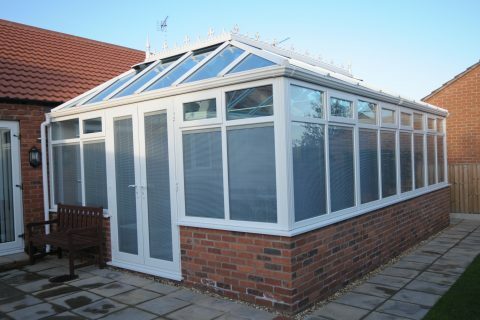 Under recently revised planning regulations, you would normally not require planning permission if your new conservatory does not exceed 4 meters projection on a detached property, or 3 meters projection on a semi-detached or an adjoined property e.g. terraced. 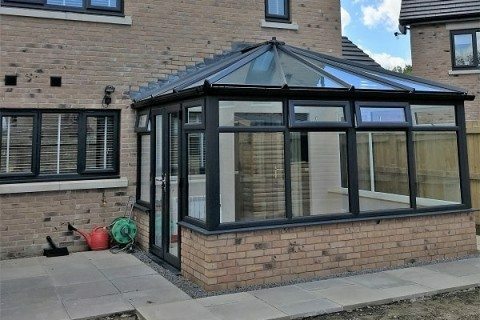 This new ruling comes under the term ‘Permitted Development’.